A planning application has been made to Wiltshire Council to utilise and repair an existing 1850's building/former car garage workshop off The Headlands, Downton to form a sympathetic and high quality 2 bedroom dwelling. 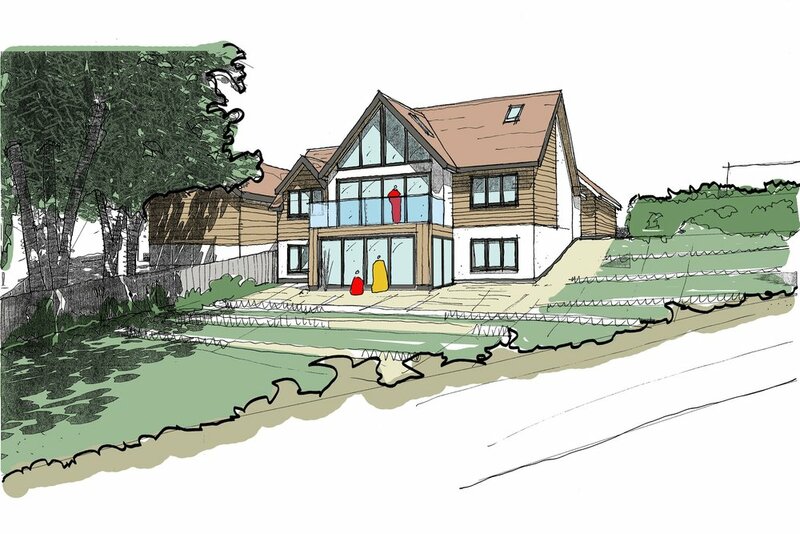 We have recently submitted a planning application to Wiltshire Council for alterations and additions to Ellengowan. The proposals seek to provide a good quality family home but within the existing footprint of the bungalow along with a new detached garage. 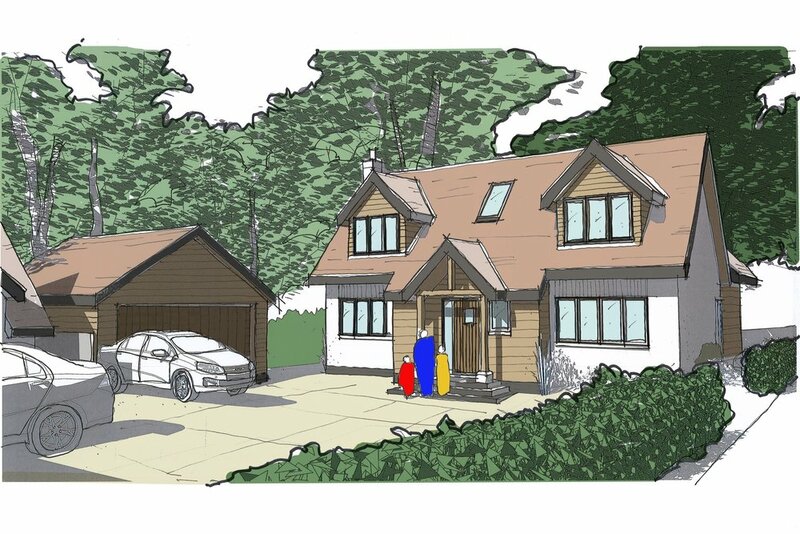 The existing prefabricated garage will be demolished and a new double detached garage with storage space in the roof will be constructed, the garage will be rendered with feature timber cladding and a pitched slate roof with dormers. It is proposed to remodel the internal layout of the existing bungalow to provide accommodation more suited to a growing family and today’s lifestyle, the roof will be raised over the left hand portion of the dwelling to allow for the creation of rooms within the roof space, the section to the right will remain single storey to reflect the neighbouring property. The property will be rendered at ground floor level with feature timber cladding; the roof will consist of pitched slate and standing seam zinc. We have recently submitted a planning application to Test Valley Borough Council for 9 new dwellings. 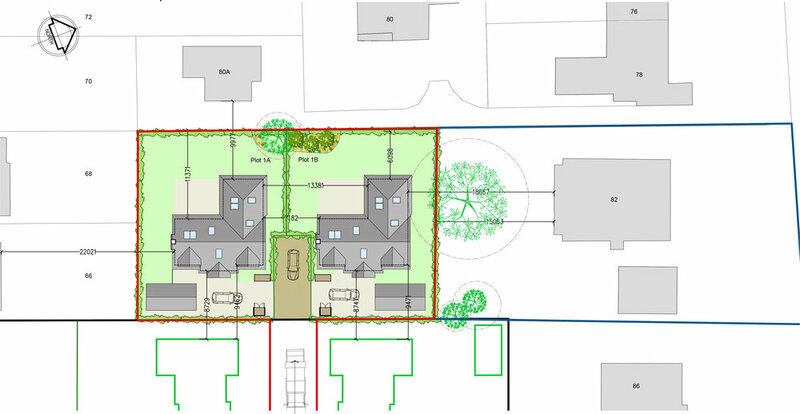 The proposal is to create a high quality development consisting of 9 premium dwellings that respond sympathetically to the site and the existing dwelling which is to be retained. The scale and form of the proposed dwellings will seek to respond to nearby properties to be in keeping with the area. A range of house types will allow for a balanced community, adding variety and character to the scheme.